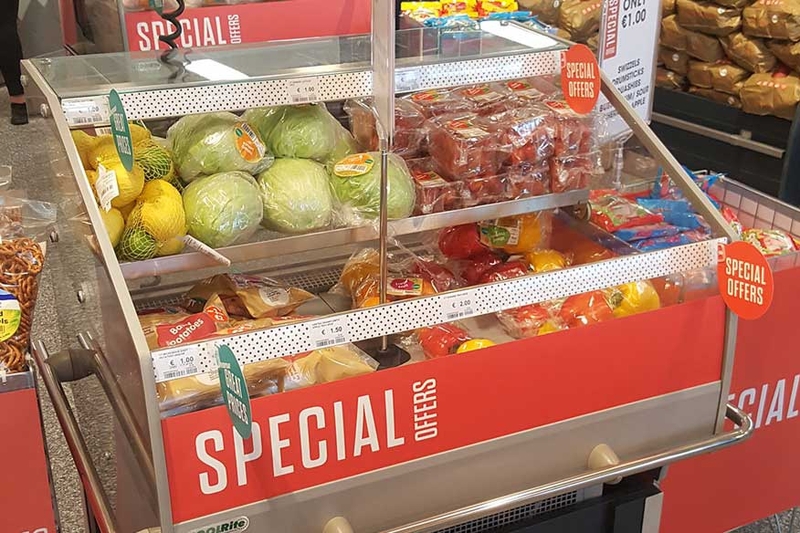 Cappagh House, Centra High-Convenience which recently opened in Dublin 11 is the 1st convenience store in Ireland to use exclusively natural hydrocarbon refrigerants rather than conventional hydro-fluorocarbon (HFC) refrigerants. 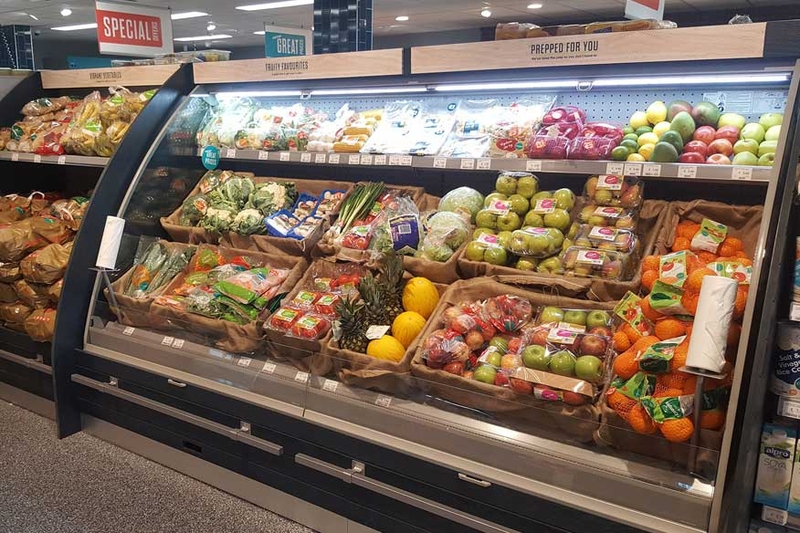 HFC refrigerants are being gradually phased out within the EU as they are damaging to the environment thus green alternatives such as hydrocarbons are the refrigerants of the future for commercial refrigeration installations. Hydrocarbon refrigerants such as R290 & R600a offer several advantages over HFCs. They are relatively cheap, highly efficient, eco-friendly & will not be subject to any phase-out within the EU, unlike HFCs. R600a & R290 have a GWP (Global Warming Potential) of just 3. For comparison the GWP of R404A is 3,922. This stark contrast illustrates how harmful HFCs can be to the environment when compared to hydrocarbons. 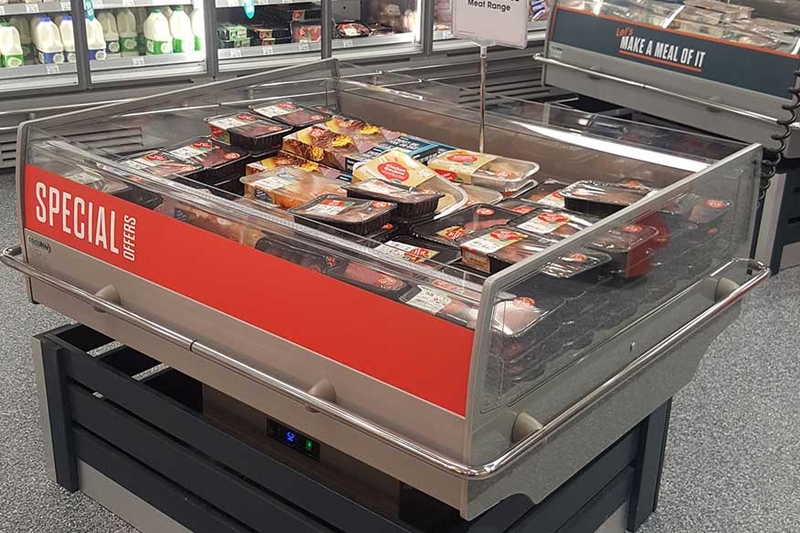 Cappagh House, Centra High-Convenience features a "Hybrid flow system" on the RDGA-L4z multidecks from JBG. These are plug-in hydrocarbon cabinets which include a plate heat exchanger that uses water to transfer heat from the cabinet to a dry cooler located in the open air outside. To achieve maximum efficiency, the water in the flow system is pumped through the plate heat exchanger only when it is necessary to avoid a high ambient temperature in the store. During winter the heat rejected from the cabinet is exploited for free heating inside the store and the heat exchanger is not used. 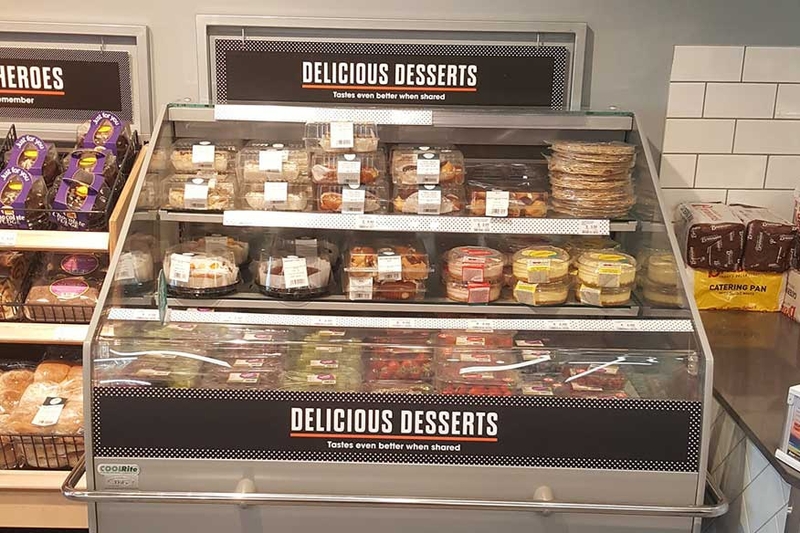 In this way the retailer gets the advantages of free heating during the winter without the disadvantage of heat rejection in the shop when it is not required. The RDGA-L4z also features a maintenance free non-lamellar condenser which does not collect dust like conventional fridges & thus does not need to be cleaned periodically. 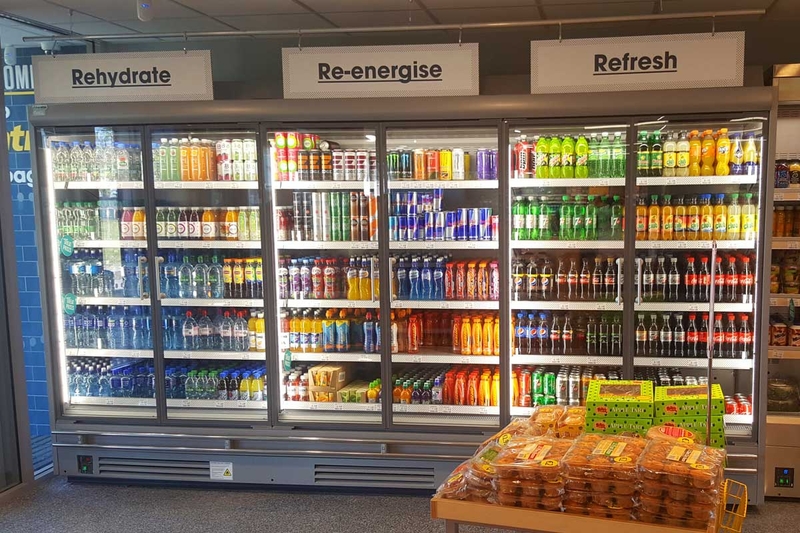 The open multidecks and cold rooms in this store use a remote glycol system. 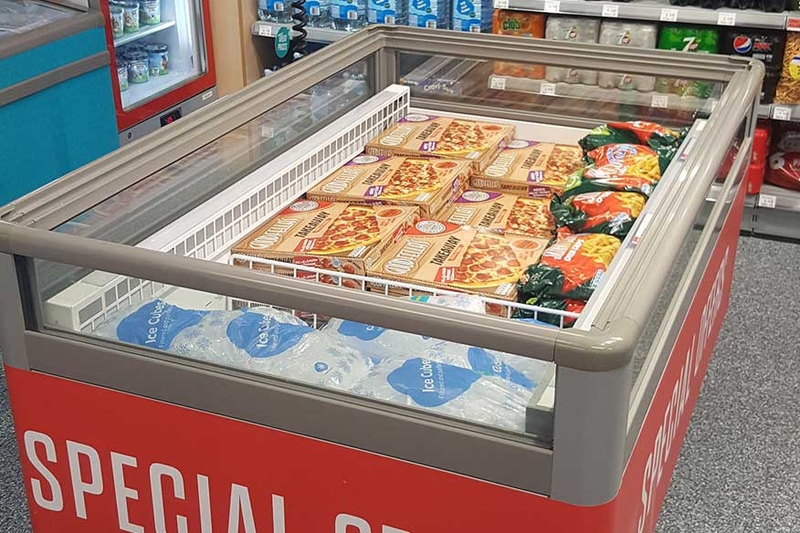 This works similarly to conventional remote refrigeration but uses a sub zero glycol solution in the cooling coil rather than a refrigerant gas. The glycol is efficiently cooled by plant which is located outside in the open air and is pumped through the coil within the cabinet on the shop floor. In keeping with the green credentials on this site, an efficient low GWP R32 air conditioning system from Mitsubishi Electric was installed. Want to know more? 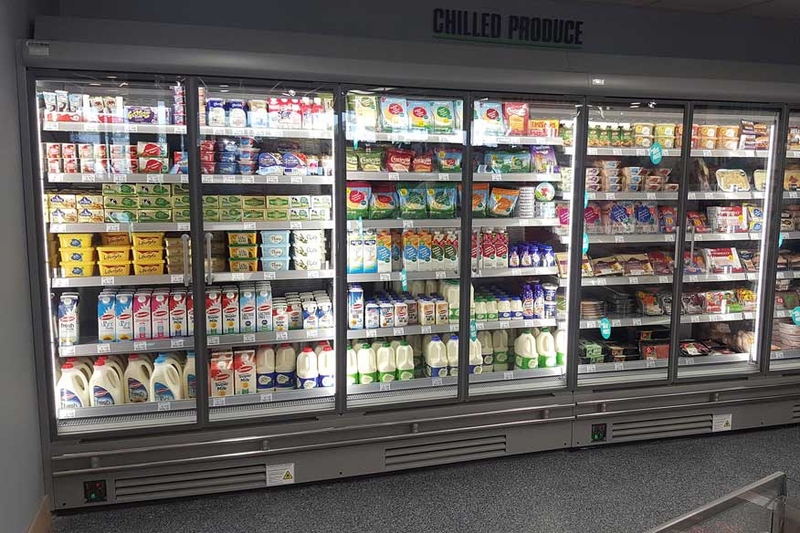 Click here to view a case study on the refrigeration in Cappagh House, Centra High-Convenience.